EVRYTHNG Works with Nest. Now you can too! Our IoT Smart Products Platform now makes it faster and easier for product manufacturers to get their devices to work with Nest, with the launch of our new certified SDK today. You can see our press release here. And we’re excited to be showcasing the result of our collaboration with Nest at the Google I/O conference over the next couple of days, demonstrating how products powered by EVRYTHNG can connect and interact with Nest devices in just a few minutes. A certified Works with Nest SDK means a simpler development and testing process for developers, and means they can quickly submit their devices for Nest approval with confidence. 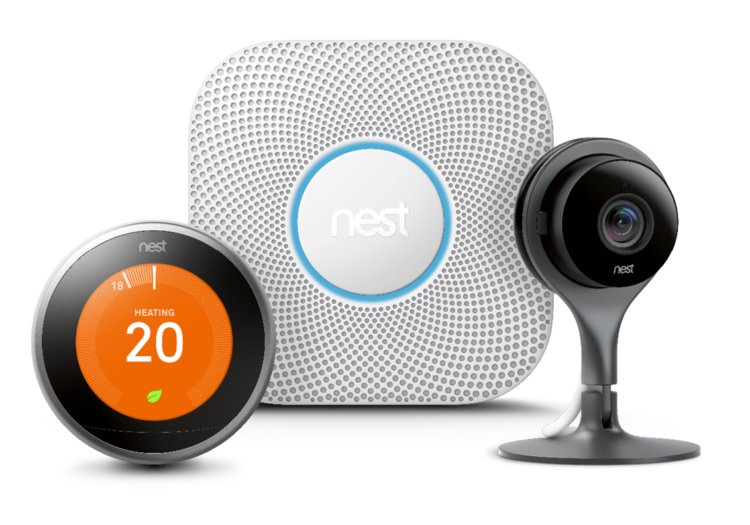 Our Works with Nest certified SDK is available now! Getting started is easy and you can be and running in less than 30 minutes. Armed with a Raspberry Pi and a Nest Cam™, you just need to walk through our simple step-by-step guide. 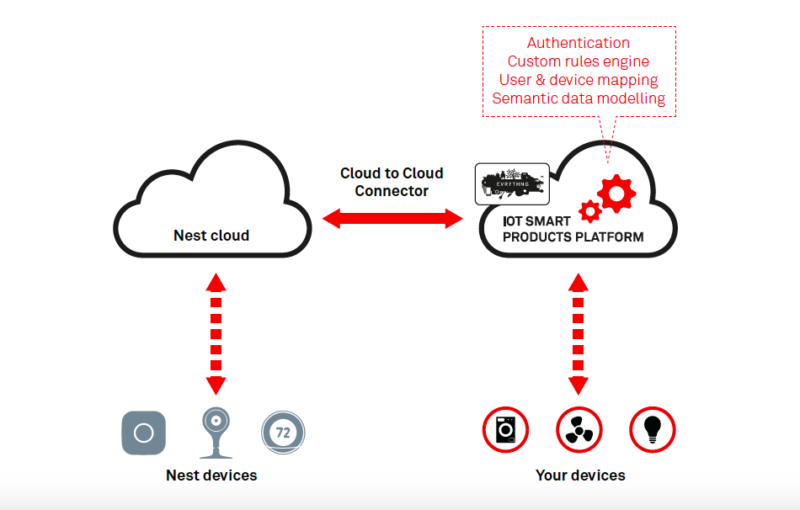 You’ll see how devices managed by the EVRYTHNG platform can be connected to Nest cloud, can listen for API events and then actuate instantly based on these messages. It’s a reference integration based on Nest Cam snapshot and activity zones, but all Nest data values and controls can be acted upon. One of the advantages of using EVRYTHNG to integrate with Nest is our programmable rules engine, Reactor™. EVRYTHNG customers can create applications that combine events from Nest devices with data from your product and from external public APIs to build sophisticated workflows. For instance, when your Nest Learning Thermostat™ status changes to away, your Nest-connected security alarm can be automatically activated. Then if motion is detected in the home by the Nest Cam this can trigger an SMS alert and snapshot of the affected activity zone to your smartphone. The certified SDK is the latest example of EVRYTHNG’s Cloud-to-Cloud integrations: pre-built connectors we provide as part of our core platform functionality, that give our customers a standardized, scalable way to connect to other ecosystems. Download our data sheet to find out more. If you’re a developer or product manufacturer, you want your product to work with as many environments as possible. Whether that’s Nest, SmartThings, Wink or Amazon Echo. The more connections you product has, the more valuable it becomes. The more smart home ecosystems your device works with, the more consumers will buy your product. Simple. Except, it isn’t. Each of these ecosystems has its own proprietary technology, and its own cloud back-end. Different APIs, authentication models, data models, connection failure responses. Synchronous versus asynchronous, real-time versus near real-time. There are no commonly adopted standards right now, which means OEMs would have to develop and, crucially, maintain custom integrations into every smart home cloud their product wants to join. With widely adopted standards and protocols some way off, we believe that our Cloud-to-Cloud connectors will help fuel market adoption by enabling manufacturers to make their products work in as many smart home ecosystems as possible – with minimal effort. To sum up: smarter products work with Nest and connect with other smart home clouds and services to become part of consumers’ digital lives. Which means that smarter products work with EVRYTHNG.